We’re Doing Sunday Brunch and Mimosas in Bellevue! We have the perfect Sunday morning for you! Sip a mimosa or premium espresso while savoring Organic Cinnamon and Cardamon-spiced French Toast with organic maple syrup, a variety of omeletes served with toast and arugula salad, sweet or savory crepes or a hearty and satisfying egg sandwich. Bring your family, meet up with friends, or just relish time to yourself while enjoying a good book. 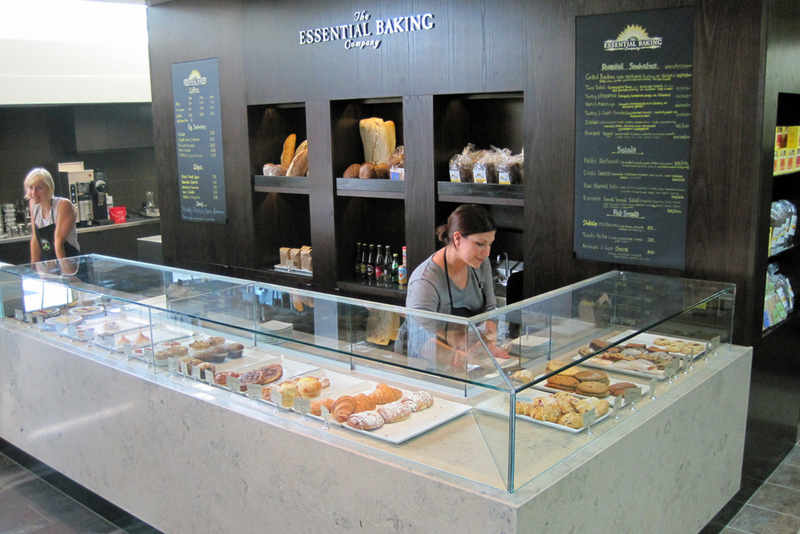 The Essential Baking Company’s Bellevue Cafe, located right inside University Bookstore Bellevue. Remember, Mother’s Day is Sunday May 12th. 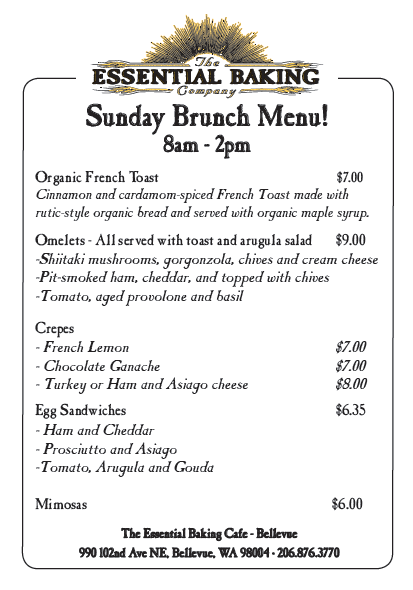 Join us for Sunday Brunch! https://i2.wp.com/essentialbaking.com/wp-content/uploads/2013/12/cafe_bellevue_slide.jpg?fit=1500%2C430&ssl=1 430 1500 Kendra https://essentialbaking.com/wp-content/uploads/2018/09/Logotipo_Essential-Baking-e1537914727842.jpg Kendra2013-04-12 23:38:442015-03-18 14:53:58We're Doing Sunday Brunch and Mimosas in Bellevue!